“Water is a basic, daily human need. Without water we thirst. When we are thirsty for too long, our body gets dehydrated. And the moment extreme dehydration sets in we die. “The First Reading from the Book of Genesis pictures the Jews complaining against God through Moses, for they were dying of thirst in the desert with aridity aggravating dehydration. Through God's power Moses touched a rock with his rod and water flowed in abundance. “Centuries later even in the Promised Land water was still scarce. Water wells were the common sources of water. (Last Sunday’s) Gospel pictures a Samaritan woman fetching water from a well to quench her own thirst, and Jesus sensing both physical and spiritual thirst offered her the living water of faith and conversion. “Here God in human form, Jesus the Christ, the new Moses, offers Himself as the Living Water that could quench all kinds of human thirsts. And as the four gospel writers tell us, His Living Waters were His words of wisdom, His healings of the sick in mind and spirit, His raising of the dead to life, and, most precious of all, His living water was His gracious Love hidden in suffering and bloody death on the Cross. “Because we are followers of Christ and must be Christ-like, we can and we have to be living waters for the poorest of the poor who thirst for justice, that is, social, economic, political, and cultural justice which are different forms of loving our materially and morally poor neighbor. Otherwise, injustice will continue to keep them dehydrated in social relations, economics, politics and culture in the arid desert of modern day Philippines. In other words, food, money, governance and education, which can be compared to the seventy percent water in a healthy human body, would remain miserably lacking and disastrously fatal to life. “My brother Romy and I, from way back in the early days of Martial Law government, would often talk about the three most important questions then and today: Who are the poor? Where are the poor? Why are they poor? Smart guy that he was, Romy was able to find his own answers to these questions and their possible solutions. 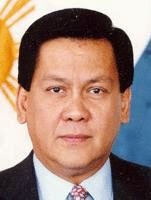 “When he retired from political activism and became a successful business entrepreneur and head of a corporation, the Panay Fair Trade Center, that exports banana chips to Germany and muscovado sugar to Balzano, Italy, and other parts of Asia and Europe, he found the Where and How to help the materially poor and touch the conscience of the rich and the powerful who are morally poor. And he did all these in a quiet, simple, humble, unpretentious and unobtrusive way, which has deeply created a big impact on people. Hence the expression, "Silent waters run deep". On this point I would like to ask the friends and admirers of Romy and all the Capallas as well, here and abroad, to continue his humble approach without public fanfare and showy demonstration. Let this be his most important and enduring legacy to us all. “As to why the people are poor, Romy believed, as many us already do, that injustice in all its forms is basically caused by the interlocking of social-economic-political-cultural systems which must be changed---not just the leaders in them. This systemic situation is reportedly influenced by foreigners. And here he encountered disagreements and oppositions as many of us also do. These have developed into rivalries and enmities creating mutual and mortal enemies. It is ironic that we who are laudably united in loving the poor are extremely divided and disunited in helping them. “In the present wide spectrum of political organizations, open and subtle violence has been, and still is, employed by these groups to achieve their goals and objectives, and even to eliminate each other. On this point I disagree with those who use violence but I respect their ideological or religious reason for it. “On the part of Romy, while seemingly aware that malicious suspicions and fabricated rumors made his life unsafe, he never had a security guard as he moved around easily and peacefully, often alone, for his business concerns. He projected an image of one who is never afraid. This was something strange to me. Did he already give up any means to protect himself? What, and Who was his security, his source of confidence? An enigma, a paradox, a mystery? I use these words in a positive sense but I am not sure and I don't know. We will know the truth in the next life, I am sure. As of now we can only guess. And I have a guess. “There have been persons in the past, and Romy seemed to be like them, persons with great visions and ideas which they exemplified in their personal lives. Somehow they believed there was energy and power in these visions and ideas in favor of the poor, for good ideas and good examples never die. Which might explain why they were not afraid of violent death. They are people who are great in life and but are much greater in death. 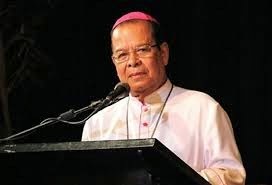 “On this very important issue of violence, I have to say the following as a bishop of the Church and as the elder brother of Romy: Our Faith teaches us that God's Commandments prohibit most forms of violence. Therefore it must be condemned. Romy is the victim of that brutal violence perpetrated in the presence of his 92-year old-mother-in-law, Purificacion Gemarino whom he was helping to get seated in his car when the assailants shot him from behind, hitting him in the upper part of the nape. This act in the sight of an elderly person aggravates the gravity of the crime. “Therefore we strongly condemn this heinous and unconscionable crime. We demand justice for my unarmed brother Romy and for many other victims like him. We condemn this barbarous act before his disabled mother-in-law. 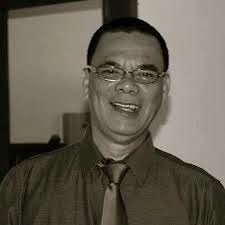 We ask everyone to pray for the eternal repose of Romy's soul and for strength and composure for his wife Makoy and his three daughters: Paula June, Romina and Katrina Ann. “And, while the demands of justice are being pursued -- if they can still be pursued within our flawed justice system -- we as Christians must forgive the criminal assailants and the people behind them, and pray for their conversion. For, without forgiveness there is no future for our country. As Blessed John Paul II put it, "there is no peace without justice, no justice without forgiveness". The spiral of violence will only increase in intensity and will eventually destroy us all. Active non-violence and a forgiving heart motivated by love is the only Christian way of cutting off the spiral curve of hatred and revenge. “Two thousand years ago Jesus Christ, God in human form, took our sins with him on the cross, and allowed His body to be tortured. He who had no sin paid with His bloody death the punishment our sins and crimes deserve. In the dark and ugly horror of that Friday, amidst jeers and insults, Christ's glorious love, which was beauty supreme, radiated in unsurpassable splendor on the cross to heal the physical and social wounds created by sin and crime, thus glorifying suffering human flesh and giving meaning to human death. All deaths like the death of people like my brother Romy, who had shown a humble and compassionate love for the poor, acquire a special meaning because of the death of Jesus on the Cross. “Because Jesus resurrected to new life, the death of the humble and the compassionate are also like His passage from darkness to light, like the death of winter to the springtime of life. Yes the deaths of the humble like Romy's are new springs in the arid desert of our socially dehydrated society. The power of their good example flows as a strong surge of living water that gives hope and new life, a life of love and compassion, of selfless non-violence, of justice and freedom, of total human development and peace. “This is what we celebrate here through the sacramental symbols of the Christian liturgy. Here we proclaim the death of Jesus and profess His resurrection, and through the sacred words of consecration make Him present in order for us to receive him and commune with Him heart-to-heart, and thus avoid being spiritually dehydrated. I've been reading on the case of former PMA Cadet Aldrin Jess Cudia, who was said to be a candidate for salutatorian of graduating class 2014, before he got into trouble for allegedly "lying" and was dropped from the rolls, unable to graduate last Sunday. There appears to be a lot of shenanigans, however, surrounding the decision of the Honor Committee (HC) that investigated Cudia's case and decided on his expulsion from the Academy---thus making the issue even more controversial than it already is. The Cudia case occupied center-stage last Sunday when PMA class 2014 graduated with President Aquino as its guest of honor, but with the embattled cadet absent from the ranks. The decision of the 9 PMA cadets to punish their colleague for alleged "lying" about the reason for his being two minutes late for class in November last year, was upheld unquestioningly by the nation’s premier military academy. But this finding of the HC is contrary to the results of the investigations by the Commission on Human Rights (CHR) and the Public Attorney's Office. The result is that where before the HC’s decisions on the life and fate of various cadets over decades have been held sacrosanct by PMA (patterned after the system in various military schools around the world), now it’s being questioned by civilians, especially the netizens, who like to juxtapose the Cudia issue against the controversies surrounding select military figures over time. To the civilian populace what’s two minutes of being late for class when talking, for instance, of the many millions supposedly squandered by military grafters that hit headlines big in the past. But this can only muddle the issue at hand even more. Two glaring issues in the Cudia case stand out for which there cannot be any subjective interpretation. One is that the HC, tasked with investigation of the case and ultimate decision (a 9-0 vote results in the expulsion of Cudia from the Academy, while an 8-1 vote exonerates him), voted 8 guilty and 1 not guilty on Cudia. This vote was announced in the HC meeting but interestingly, it was not entered into the minutes and presented as "initial only" when there is no such voting in its written rules. It ought to be mentioned here that cadet Cudia had faced a case before the HC too in the past, but he was exonerated. A CHR report that circulated in the internet indicates that with this split vote, HC chair Mogol called all 9 members into a “secret” room known as the "Chamber" and when they came out, it had already become 9-0---meaning, the one cadet for Cudia's acquittal had turned around. This became complicated when a senior PMA officer named Commander Jaime B. Tabuada later executed a sworn affidavit attesting to a certain Cadet Lagura’s admission to him of the "chambering" and pressure to reverse his vote. This testimony by Tabuada was corroborated by Cadet 2Cl Ma. Debbie Jocson. This revelation is not good for HC at all, for while it insisted that Cudia, like all cadets, “should not lie, steal or cheat,” the HC appeared to have acted far from honorably in securing a retraction under duress. 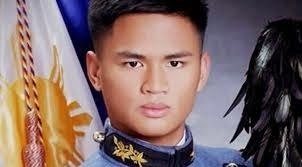 CHR said in its report that Cadet Cudia was deprived of due process and the HC disregarded its own written procedures; for these reasons, CHR strongly recommended that PMA and HC respect and uphold the 8-1 vote, officially pronounce Cudia as NOT GUILTY and "restore his rights and entitlements as a full-fledged graduating cadet and allow him to graduate (last) Sunday, March 16, 2014." But as it turned out, Cudia was expelled even after his family met with the President for two hours last Saturday in Baguio City. Here the Chief Executive was being prudent and wise---rather than infuriate the Academy and its scores of graduates over the decades by siding with the embattled cadet, P-Noy tossed the problem of Cudia to AFP Chief of Staff Emmanuel Bautista. The CS is now under the gun. The accusation against Cudia of "lying" about his tardiness may be rooted in large part on the military’s notorious difficulty with the written and spoken language (as a former military wife, I often noted in many speeches of officers how subject and verb were frequently mutually antagonistic, especially when delivered before soldiers with mouths agape!). Cudia’s problem arose when he insisted at the immediate moment of confrontation that “Our class was dismissed a bit late and I came directly from the 4th period class.” He meant that just a cluster of that class was dismissed late. A case of "semantics" is how non-PMAyers look at it. Sideline observers I talked to about this unfortunate one-liner feel that the cadet candidate for honors must have been eager to exonerate himself from demerits. It turned out, as he stated in his subsequent explanation, that he and four other cadets actually met with theicr teacher, Dr. Monica Costales, after class, and that she asked them to stay for two minutes more so she could answer their queries on demerits in a previous paper and give them their service grade. Cudia later said in his defense that they were merely following teacher's order and Costales attested to this fact in a statement later, but this appeared to have been ignored in the investigation. For being tardy for two minutes, Cudia and the four other cadets got demerits and “touring” time (walking the campus), with Cudia getting more on both counts, on Dec. 19, 2013 (why this was so is not explained). At any rate, doubtless because he was vying for graduation honors, he decided to seek clarification from his tactical officer, PAF Maj. Hindang, as to why the punishment. Hindang advised him to write a letter to Senior Tactical Officer Benjamin Leander, seeking reconsideration of these punishments. In that letter he told Leander that “I strongly believe that I am (was) not in control of the circumstances.” Which is understandable---in the military one obeys his immediate superior’s command. In the meantime, reports indicated that Maj. Hindang reported Cudia as having violated the Honor Code. After that Cudia’s case went downhill fast. Dr. Costales was to complain that investigation of her decision to make the five cadets stay for two minutes was not on the same frequency as the accusers of Cudia. He found himself having to build up his defense, but he was not able to confront his accusers or present those who could defend him, as he was restricted to a holding center inside PMA where he was to remain until his appeal was resolved. Meantime, the whole cadet corps was ordered to stay away from him, termed in the Academy as an "Order to Ostracize." Cudia's isolation was both physical and psychological. Members of the HC were recruited from the Foxtrot Co., and briefed on the issues and procedure. Late in February Cudia asked PMA authorities in writing for extension to submit new evidence to support his appeal, arguing that his earlier requests for copies of documents pertaining to his case had not yet been acted upon; moreover, he couldn’t communicate with his classmates because of the “Ostracize” order. Cudia’s parents wrote to Maj. Gen. Oscar Lopez, the PMA Superintendent, copy furnished the Chief of Staff and other concerned officers. The CS directed Lopez to review the case and the latter in turn referred the matter to the Cadet Review and Appeals Board. Maj. Gen. Lopez, writing to Cudia through his counsel, informed him of the denial of his extension request and the three-nights trial proceeded. Cudia was asked on the first night what his plea was and he answered, “I did not violate the honor code and system.’ Proceedings were recorded with a voice recorder at the front and back of the trial venue. Before the verdict was handed down, Cudia had already served nine hours of his 13 touring hours penalty, which he had sought to be reconsidered earlier. It’s interesting to surmise how things might have been if he hadn’t gone through the motion of seeking reconsideration of those punishments. Earlier this month, the Cudia family contacted the regional office of the Public Attorney’s Office (PAO) which then drafted an appeal memorandum, and the CHR Cordillera Administration Regional Office for help. The CHR Regional Office denounced the HC for violation of the cadet’s human rights, namely, the right to Life, Education and Privacy of Communication and named 12 people, including a ranking PMA officer and all the members of the HC, as respondents in a case it filed. The PAO Regional called for new investigation and voiding of the HC trial in the light of new evidence, such as the recantation of Cadet Lagura under duress. Above all, this trial has gone beyond the confines of PMA and rent its thick veil of secrecy. Today the civilian populace is very much into the debate of what’s honorable and what’s not. Various alumni of PMA have called for closing of ranks behind the decision of the HC, but under the circumstances, how can this be done without damaging the institution itself that has produced great defenders of our country for many decades? A re-investigation and re-trial for Cadet Cudia is in order and AFP Chief of Staff Emmanuel Bautista can do no less. I don't know Cudia aat all, but I don’t think he aims to return to the military where, as Rep. Rodolfo Biazon, a prominent PMAyer, puts it, he’ll just be treated “like a leper.” After all, there should be life after PMA. Obviously, however, like any other decent element, this young man is fighting for his good name and that he believes with all his heart that he did nothing wrong. Now that Speaker Belmonte has cleared the deck for investigation of Delfin Lee in connection with P7 billion Pag-Ibig scam, will House investigate as well Rep. Miro Quimbo, Pag-Ibig’s president and CEO then? Will House minority bloc led by Rep. Martin Romualdez make good its promise to investigate mysterious vertical marks found in random audit of 2013 ballots? Or will these twin moves fall under “abangan” category? Belated cheers to intrepid Pinoys who braved shark-infested, hypothermic waters from Robben Island to Capetown last month. investigation of the Globe Asiatique issue and the 2013 electoral fraud? Now that Speaker Feliciano Belmonte has cleared the way for the House to investigate the Globe Asiatique P7 billion scam allegedly perpetrated by Delfin Lee on thousands of small Pag-Ibig investors in two housing subdivisions in Pampanga from 2008 up to 2011, the natural question is, will Rep. Romero Quimbo, who was president and CEO of the Pag-Ibig Fund from February 2003 up to March 2009, be investigated as well? Speaker Belmonte was quoted as saying that “dapat lang lahat sila imbestigahin” together with Lee, now languishing in jail after his arrest. It will be recalled that Rep. Miro Quimbo was a high-profile spokesperson of the House prosecution team in the Senate trial of former Chief Justice Renato Corona in the first half of 2012. Now there is the apprehension that because President Aquino owes him a lot for the conviction of CJ Corona, Quimbo might be spared from investigation. Apprehension has deepened especially after the Palace quickly “cleared” Oriental Mindoro Gov.Alfonso Umali, brother of a prominent House prosecutor in that trial, Rep. Rey Umali, from any wrong-doing after the governor called no less than PNP Chief Alan Purisima to inquire about the fate of Delfin Lee following his apprehension by the police. Umali’s palusot was that he merely wanted to know if the arrest order on Lee issued by a Pampanga RTC judge was “still valid.” But that was naked intervention, no less. On the other hand, the palusot of Quimbo is that the loans to Delfin Lee from Pag-Ibig actually “ballooned” only after Quimbo was “fired” from that post in 2009. But the syndicated estafa perpetrated by Lee, whereby, as the media quoted Vice President Jejomar Binay, chair of the Housing and Urban Development Council (HUDCC), as saying, Lee used fake borrowers and fake documents “to destroy the dreams of thousands of Filipino workers,” began to flourish during the term of Quimbo in Pag-Ibig. As a result of Delfin Lee’s perpetrated scam of P7 billion in fake borrowers and fake documents, the indebtedness of Home Guaranty Corporation, which guarantees Pag-Ibig loans, shot up to P13.926 billion. All these will have to be paid once again by poor taxpayer Juan de la Cruz. Let’s see how the House, famous for protecting its own, and the Liberal Party, which clears P-Noy’s allies of any wrong-doing with lightning speed, would handle this scam now. I must admit, though, that the House is gaining my respect in a tentative sort of fashion. For aside from opening an investigation into the Delfin Lee scandals with Pag-Ibig funds, the independent bloc in that chamber, led by Leyte Rep. Ferdinand Martin Romualdez and Buhay party-list Rep. Lito Atienza, is also scheduling an investigation into recent finding of IT experts that the random manual audit (RMA) of the 2013 senatorial and local elections yielded ballots that bore mysterious vertical lines. The IT experts of AESWatch and the Center for People Empowerment and Governance fear that these unexplained vertical lines could have compromised the actual readings by various PCOS voting machines---thus bolstering even more the experts’ claim of a 60-30-10 voting pattern nationwide in favor of the administration party. The appearance of these mystery vertical lines in ballots checked out in the RMA is only the latest in the litany of accusations against the Comelec that cannot be explained, both in the 2010 and 2013 elections. 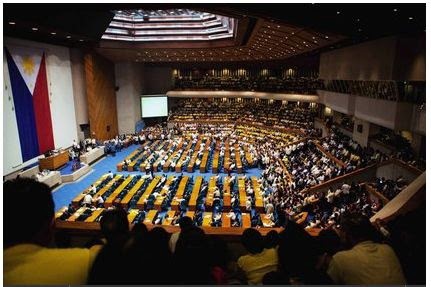 Maybe now, if the House minority bloc won’t be daunted or intimidated, rational explanations may finally surface. 1. At 8 pm. of election day 2013 and right after the closing of precincts, the Transparency Server of Comelec registered 12 million votes for candidate Grace Poe, while only 1,410 PCOS machines had yet transmitted. That’s a 23% output for less than 2% input. 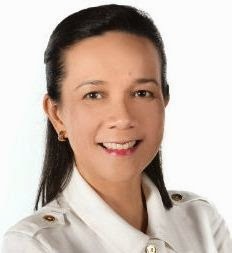 Later Grace Poe’s lead of 20.337 million votes was reduced by 4 million in the final Comelec report, without any explanation..
2. The simultaneous transmission of ballots to both municipal and Transparency Servers presupposed that inputs would be on a random, first-in first-out basis; but the Comelec report belied this as the 1st to the 16th canvass showed election returns canvassed for GROUPED provinces, cities and municipalities and overseas. These results showed at the very least that they were “filtered” by an INTERMEDIARY terminal. 3. A 60-30-10 pattern marked the senatorial canvass on the national level, with each of the 16 candidates receiving a CONSTANT SHARE for every canvass. This pattern ignored, for instance, bailiwicks of specific candidates, so that pattern is uniform for all the regions! 4. Up to this day, 18,000 PCOS machines have failed to transmit results, so where did Comelec get its concluding figures? Given this lousy record of performance of the PCOS machines, it's inconceivable that the poll body would even think of investing more taxpayers' money into more of those machines. The PCOS machines have to be junked for good. On the other hand, former Comelec official Melchor Magdamo first exploded in media the mysterious continuous printing of ballots at a private printing press WAY AFTER THE 2013 ELECTIONS. The IT experts' opinion is that there's continuous printing in case there is need to open controversial ballot boxes, such as if the Senate orders this to be done. Then switching of ballots can easily be made. TThis offer is being interpreted naturally as a bribe to silence Atty. Magdamo, but he turned it down. Hooray for Mel Magdamo. I have nothing but admiration for the intrepidity of two Filipino athletes who early last month braved potential shark attacks and frigid temperatures in a South Africa swimming event that celebrated Philippine-South African friendship and commemorated the life of the late SA President and anti-apartheid hero, Nelson Mandela---and as a charity event to benefit our Yolanda victims. In a captivating story by Cynthia D. Balana in the Inquirer, lead Pinay swimmer Betsy Medalla, 44, and secondary swimmer Julian Valencia, 40, both formerly connected with the UP varsity swimming team, were featured as the first Filipinos to ever take part in that historic 7.2 km. swim in the shark-infested sea, with temperatures ranging from 12 to 15 degrees Celsius---from the shores of Robben Island, where Mandela was imprisoned in solitary confinement for 18 years, to a suburb of Cape Town, SA. Cynthia’s story noted that over 400 people have made the Robben Island swim since 1899, but this was the first time Pinoys---or Asians for that matter--- took part in it. The Feb. 9 swim, dubbed “Rainbow of Hope: A Celebration of Philippine-South African Friendship---The 1st Robben Island Swim 2014,” was witnessed by the large community of South Africans of Filipino ancestry, whose forebears came from the Philippines more than 150 years ago. In the old days before the Suez Canal was built (between 1859-1869) connecting the Mediterranean at Port Said in Egypt with the Red Sea, thus shortening the many months of journey to the "New World," ships had to navigate the Cape of Good Hope crossing at the southern tip of the African continent. It is said that in one of those crossings, a Filipino seaman, probably enticed by some African beauty at the Cape Town R&R stop, decided to discontinue with the trip to Spain and instead chose to stay behind. Thus a whole colony of Filipinos arose in that place and until now Pinoy family names have persisted there. I remember very well my family’s visit some years back to the beautiful port of Cape Town and the community of Pinoy descendants near there, as well as to the prison cell in Robben Island of iconic Nelson Mandela, now a World Heritage site. And so, in anticipation of that historic swim by our two intrepid Filipino swimmers, which was organized by my son, Buddy, who's the honorary consul-general to Georgia, and South African Consul to the Philippines Steven Chaimowitz, I joined all their friends in various parts of the world (me in Manila) in anxious prayer for the swimmers’ safety---that they be delivered from the jaws of those ferocious sharks and the hypo-thermic waters. Luckily our prayers were heard, and except for a slight onset of hypo-thermia in Julian who recovered within the hour, our two swimmers fared well---clocking in way ahead of the 3-hour target. For the moment nations of the world, including the Philippines, are being forced to put their respective national problems and crises in the back-burner and attend to what world media term “the worst East-West crisis since the Cold War.” This refers to the conflict between Russia and Ukraine over a region of the latter country, Crimea, that Russia appears set to annex---against protestations from the US and European powers---if only to protect the one and only warm-water port for its vast navy, located in Sevastopol in Crimea. A friend of mine, who knows both conflicting countries well, has sent this background material---much of it in narrative form---which should be useful to us here in understanding how this terrible conflict on the world stage began and might end---and what are the repercussions on the Iran nuclear talks, the economic recovery in Europe and the US presidential elections. “Since 1989 until 2008, I travelled to Russia and Ukraine perhaps on an average of at least three times a year. I got to know and love both countries and people, and the complexities of their relationship with each other. I want to point out that i am not a typical tourist. Rather than take guided tours to interesting places, I prefer to interact with the locals, see how and where they live, dine with them in their homes, get to know their families, customs, dreams and aspirations. “During those travels, I had the pleasure of meeting and having friendly relationships with many types of people - from farmers to oligarchs to mafia bosses, police, politicians, famous doctors, ballet dancers and sportsmen. I've driven alone and with others extensively throughout Ukraine and some parts of Russia, sometimes spending the night in small, out of the way villages. I can regale you with numerous stories and personal experiences - some comic, others sad and some downright scary. “But I'm writing this because I believe that I know quite well the souls of both Russians and Ukrainians so that perhaps I can provide an ‘insider's view’ of why this conflict is currently happening between the two countries that were once part of the Soviet Union. “Back in 1954, while Ukraine was part of the Soviet Union, then USSR strongman Nikita Khrushchev gave Crimea to Ukraine. I don't know the reason. Perhaps it is because Khrushchev was himself a native Ukrainian from Dnieperpetrovsk. Once, I took the overnight train from Kiev to Simferopol, the capital of Crimea, then a rented car down the winding mountain roads to the beautiful seaside cities of Yalta (site of the famous meeting between Stalin, Roosevelt and Churchill) and Sevastopol. 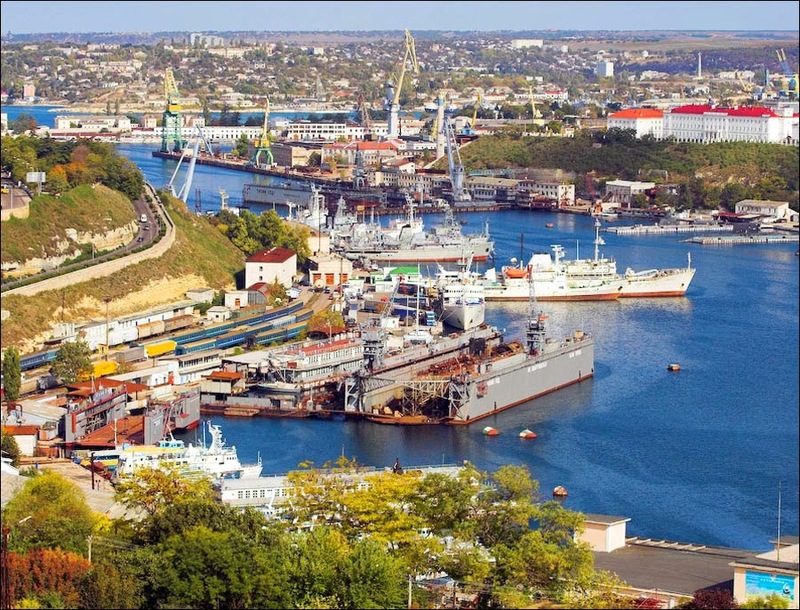 “As the world now knows, Sevastopol is the site of Russia's only warm water naval base. Sevastopol is on the other side of the Black Sea from Sochi, and it is near Odessa and Istanbul, Turkey, on the Bosporus entrance. The population of Crimea is about 45 % ethnic Russian and about 30% tunic Ukrainians and the rest Tatars who are especially anti-Russians. “Back in the USSR days, Ukraine was known as the breadbasket of the Soviet Union. Basically a farming economy, Ukraine's land is famously fertile that Hitler, when the Germans occupied this part of the Soviet Union, used to send trains to load up the rich, black soil, particularly in the region around Poltava, and take the soil back to German farms. “In 1990, the Soviet Union began to self-destruct. After the tearing down of the Berlin wall and the unification of the two Germanys, Ukraine, and other Baltic states of Lithuania, Latvia, Czechkoslovakia, Hungary, Moldova and others followed suit. “The United States and the United Kingdom signed a unilateral agreement with Ukraine a few years later: Ukraine would destroy its huge nuclear arsenal and the US and UK in return promised to defend Ukraine and provide economic assistance. I remember marveling at the beautiful new 4-lane highways that had sprung up all over the country. This agreement is now very much in the forefront of discussions regarding the Russian invasion. “It’s interesting to note that Russians and Ukrainians have always had a somewhat love-hate relationship. In Russia, I noticed that they derisively called Ukrainians farmers and treat them as their low-class brothers. The Ukrainians somewhat feel inferior to Russians because they've lived in the shadow of their big brother for so long. But over the years, when Ukrainians, because of western influence, gradually became wealthy and sophisticated, they lost their natural affinity with Russians who became even more resentful of their neighbors. Eastern Ukraine, admittedly is heavily populated by ethnic Russians. Kharkov, the second largest city in Ukraine after Kiev, sits right across the border with Russia. Kharkov is mainly a university city with about 80 small and large universities there. The main square in the city is supposedly the largest square in the old USSR and the site of many rallies during the many revolutions in the old days. I have many dear friends in Kharkov and have spent many memorable times there. Across the border in Russia is the site of Russian military maneuvers. They call it an “exercise” but I really think it’s a clear preparation for invasion if necessary. “Other eastern Ukrainian cities, such as Lugansk and Donetsk are also important to the Russians. The richest man in Ukraine, who is neither of Russian nor Ukrainian ethnicity, lives in Donetsk. “I might add that generally, the Russians admire the US, while Ukrainiansm love the US. I was in St. Petersburg in Russia when 9/11 happened. I was overwhelmed by sympathy calls from friends from both countries. During the next few days, Arab-looking men were beaten up, stabbed and sometimes shot by the locals. But this changed when Putin came into power. His goal clearly is to bring back the glory days of the USSR and regain much of the territory it lost. He wants to rekindle the animosity between Russia and the West. “I also remember during the early years of my trips there that I was so upset with the CIA for making us believe that Russia was such a powerful enemy to be afraid of. I felt so intimidated as the plane carrying me from Western Europe was about to land in Moscow. But when I saw dilapidated buildings, telephones that hardly worked, dirty hospitals, shabbily dressed people, etc. I said to myself, "This is our enemy that we're so afraid of?" “During the last few days, the situation in Crimea has become worse for Ukraine. The illegal government in Crimea voted to secede from Ukraine and there will be a referendum on March 16 wherein the Crimean people will choose whether they want to become a Russian satellite or stay with Ukraine. Undoubtedly, because they outnumber other groups, Crimea could become part of Russia. Everyone knows that Russian President Vladimir Putin’s ultimate goal is get back all the satellite states that Russia lost after 1990. Poland may be next because it shares a border with Eastern Ukraine. But hold on---losing Crimea may not really be a given. The world has to take into account what I would call the AGE factor. If you look at the Ukranian militants and others that they show on TV, it’s clear that majority of them are probably aged 40 and beyond. In other words, the leaders of the separatist movement may have overlooked one thing. Probably more than half of the population of Ukraine, including Crimea, were born after 1990. Regardless of their ethnic background, members of this new generation consider themselves Ukrainian, while they speak both Russian and Ukrainian, Ukraine is their country. In short, it's the elders that are causing all the trouble. “The other factor is that the average life expectancy in the region is age 62. In short, the young will not want to wake up one day and find themselves in the totalitarian grip of Russia. When I traveled there, I interacted with the young people quite a bit. They present themselves as proudly Ukrainians and not Russians. “Today the world confronts a most problematic situation. Russia sees the US weakness and divisiveness in its actions. The Republicans' criticism of Obama is relentless and it’s hurting the US image. Of course, they have the 2016 US presidential elections as well as an economy in tatters in mind; but unfortunately too, they wouldn't discuss the fact that it was Republican George W. Bush sitting in the House when Russia attacked Georgia, resulting in Georgia’s losing major cities. At that time, Bush sent out strong warnings but never did anything to follow through. Same thing now. “The US is feeling alone because its western allies are reluctant to move. All its warnings and saber-rattling are a joke to Putin. He knows that economically, Europe is not in a position to do anything especially with many economies ailing. At least, the US sent fighter jets to Poland and Turkey, and soon, warships to Crimea, but how determined it is to act is yet unknown. “When USSR disintegrated, Vladimir Putin made his moves: First to take control of Russia. Then to retake the USSR satellites one by one- especially Crimea in the Ukraine, where Russia has a vital naval base. “The West. on the other hand, made its intention very clear---to get the satellites away from Russia. “Putin, a top KGB official in USSR. plotted his moves very well. He lulled the West into thinking Russia is now okay by allowing substantial oil and gas to flow to Europe through the Ukraine. Thus, many European countries, some just recovering from serious economic crises, became dependent on Ukrainian pipelines for their oil and gas supplies. “In the meantime, many Russians moved to Ukraine and Crimea--- purportedly to get away from Russia. 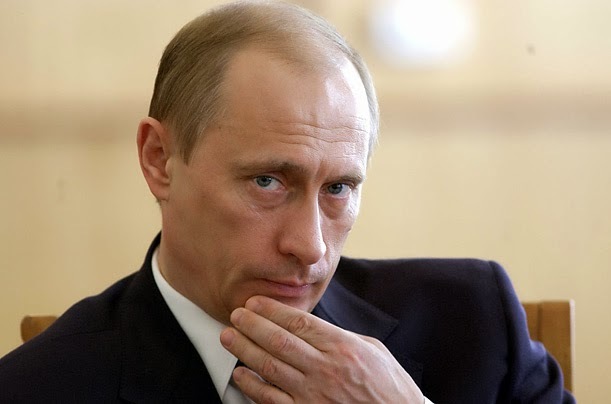 “Putin timed his moves when the US showed weakness in the Syrian situation. The US made it very obvious that it did not want another war---not after Iraq and Afghanistan. “Putin made his move in a la Hitler. Russian soldiers moved in. No European or US military dared to make a move. Confrontation could lead to nuclear war. Putin made it known that he would not back down. “No matter how the West will say the referendum is illegal, it’s a forgone conclusion.